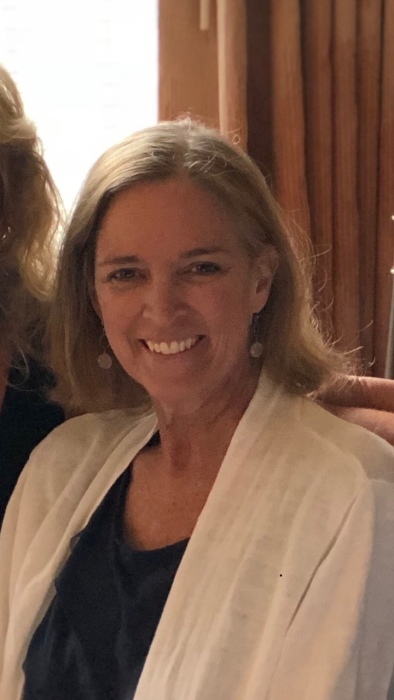 Elizabeth (McLaughlin) Clark, 54, passed away peacefully on the evening of Dec. 30, 2018, at home, surrounded by her cherished family. She was born in Portland, Maine on June 22, 1964, the daughter of Patricia McLaughlin. She attended Falmouth schools and graduated from Falmouth High School in 1982. She went on to earn a B.A. in Speech Communications at University of Maine, Orono in 1986. She was a lifelong member in good standing with the Delta Delta Delta sorority. She met Bradley C. Clark, the love of her life, while at UMO and on June 4, 1988 they were married. Immediately following they started their married life in Darmstadt, Germany, where Brad was stationed. During their 3 years abroad Elizabeth developed her initial love of teaching by helping service members earn their GED’s. Returning from their service in 1990, they settled in the Greater Portland area, eventually building a home in Cumberland where they raised their family. Her greatest accomplishment and most cherished legacy are her children, Alex and Meredith, and she immersed herself in all aspects of their lives. Elizabeth served as a Sunday school teacher at the Cumberland Congregational Church and as a long-term substitute teacher in the Cumberland School system. She volunteered in her children’s classrooms, served on the PTA, was a team mom, driving kids to and from sports’ practices, ballet and events. Her love of children and community inspired her to pursue a career in teaching. In 2014 she earned a Teaching Certificate from University of New England. With her own children in college, at the age of 50, she began a full-time teaching career at Pownal Elementary School. Working with first graders proved to be her next true vocation. Elizabeth was gifted in engaging her students to be curious about the world and to understand the importance of being a life-long learner. She used her keen communication skills, humor, singing and even speaking in a foreign accent to hold their attention. Elizabeth saw the potential in each child and created a safe environment in her classroom for her students to find their strengths and develop self confidence. She inspired her colleagues and students with her kind heart, gentle yet steadfast leadership and welcoming smile. One of Elizabeth’s greatest joys in life, was spending time at the family’s home on the island of Islesboro, where her mother was born, and the extended family spent part of each summer. She was a beloved mentor as the first born of a close-knit group of 11 cousins. In later years she enjoyed maintaining the family homestead and instilled this love and responsibility in her children, passing on the island connection to the next generation. Elizabeth shared an unbreakable bond with her mother and grandmother, the two most important women in her life. They taught her the value of community service, Yankee sensibility and the love of theater and music that she shared with her children as well. To know Elizabeth was to understand acceptance, strength in perseverance and generosity of spirit. She will be missed beyond measure by all who knew her. Elizabeth is survived by her mother, Patricia McLaughlin of Falmouth; husband of 30 years, Bradley C. Clark; their son, Alexander B. Clark and daughter, Meredith E. Clark, all of Cumberland; her aunts, Sheila (McLaughlin) Johnson of Falmouth and Janet (McLaughlin) Warner of California; his parents George and Maureen Clark of Auburn, Maine; his brother Jamison Clark and wife Colleen, of Upton, Massachusetts; and his sister Laura (Clark) Brann, of Auburn, Maine; as well as many other loving relatives and friends. She was predeceased by her grandparents, Edward William & Thelma (Johnson) McLaughlin; her Uncle James McLaughlin and her cousins, Andrew Loeffler and Doug McLaughlin. A Memorial Service will be held at 10:00am on Saturday, February 2, 2019 at the Allen Avenue Unitarian Universalist Church, 524 Allen Avenue, Portland, followed by a Celebration of Life reception for the community at 12- 3pm at the Portland Country Club, 11 Foreside Road, Falmouth Maine. The Clark family would like to thank their community for the outpouring of love and support over the past 9 months as well as the staff at New England Cancer Specialists, Maine Medical Center and Hospice of Southern Maine for the care Elizabeth received. In lieu of flowers, a scholarship fund for Greely High School students pursuing a degree in education has been set up. To donate online go to www.mainecf.org/givenow Designate the Elizabeth Clark Scholarship Fund. Donations can also be mailed in by making a check payable to the Maine Community Foundation in the memo line write Elizabeth Clark mail to the Maine Community foundation 245 Main St. Ellsworth, Maine 04605.